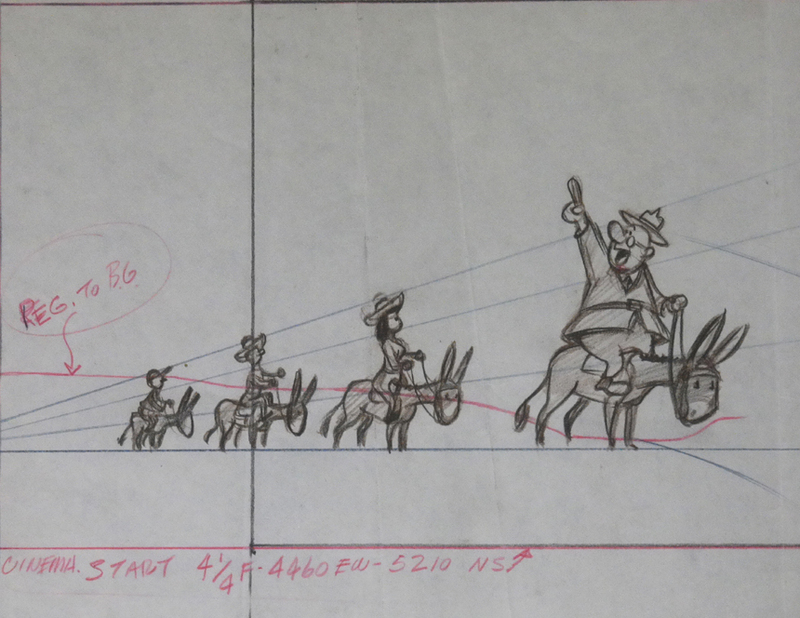 This is a production layout drawing featuring Donald Duck and Ranger Woodlore which was used in the production of Grand Canyonscope (1954). 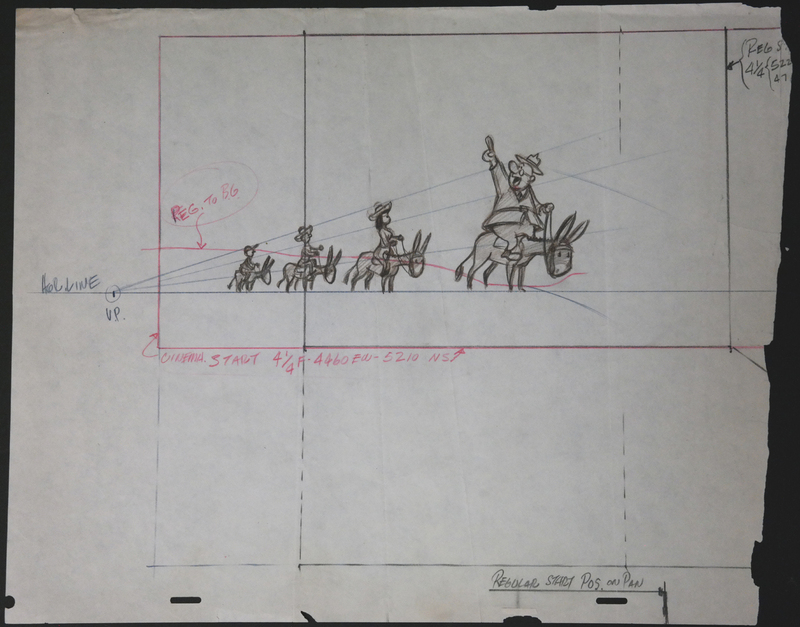 The overall paper measures 12.5" x 15.5" while the image measures 4" x 9". The paper is very delicate and there is some wear around the edges.